3-Piece Down Alternative Comforter Set Just $49! Down From $119! PLUS FREE Shipping! You are here: Home / Great Deals / Amazon Deals / 3-Piece Down Alternative Comforter Set Just $49! Down From $119! PLUS FREE Shipping! 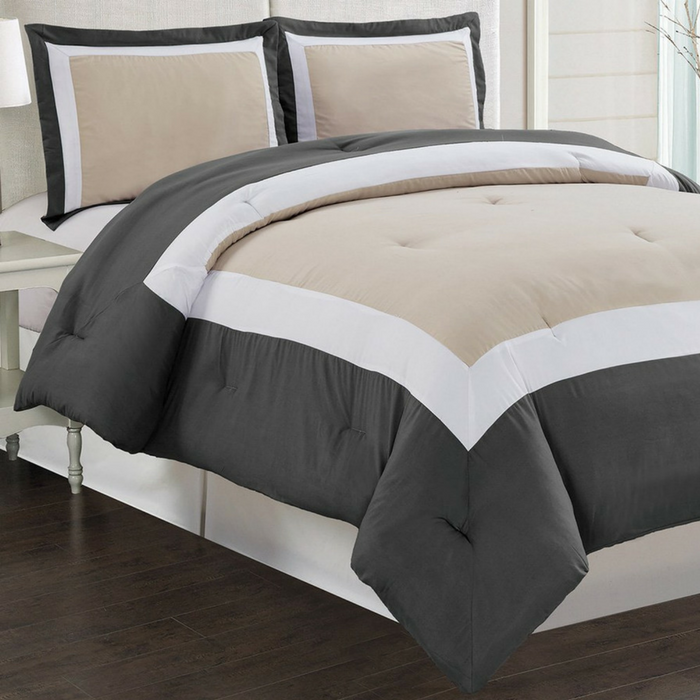 Amazon has this 3-Piece Down Alternative Comforter Set on sale for just $49 down from $119 PLUS FREE shipping! Comforters are designed to keep you updated and fashionable in the most convenient and inexpensive way. The comforter sets are a tremendous blend of bold and vibrant colors. They can transform a room from bleak to bright and cheery in a matter of minutes. They will have your bedroom decorated with style. Turn your home into a haven with our beautiful comforter collection. FINE TAILORED – Comforter 92-inch by 90-inch. 100% SOFT MICROFIBER – Comforter set fabric content: 100-percent double brushed Microfiber. 100% HYPOALLERGENIC – Poly Fiber Fill Down Alternative. Factory Vacuum Packed.